American Indians in Children's Literature is pleased to bring you Tim Tingle's acceptance speech. He won the 2016 American Indian Youth Literature Award, young adult category, for The House of Purple Cedar. As is traditional within Native communities, he was given a blanket. Tim provided me with the photo (to the right), explaining that it was taken while he was at the Congressional National Cemetery in Washington DC, three days before the awards banquet. The photo was taken by Lisa Reed, editor of The Biskinik (the Choctaw nation's newspaper). Tim was reading a book he was given by the office manager of the cemetery. He was sitting beside the grave of Pushmataha, who is in Tim's next book. That day, the Chief of the Choctaw Nation and many others were at the Congressional National Cemetery to honor Pushmataha. The clouded expression on Tim's face is because of what a Choctaw woman gave to him that morning when he arrived at the gravesite. On behalf of my family and the Choctaw Nation of Oklahoma I want to let you know what an honor it is to be here and to accept this award. We are so grateful for the work you do, to bring recognition to our work as writers. Yakoke, thank you. 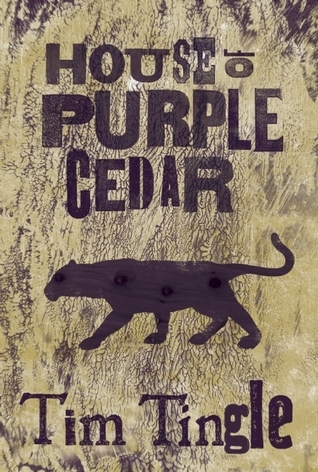 House of Purple Cedar took fifteen years to complete, as my editor, Lee Byrd of Cinco Puntos Press, can confirm. It describes the struggle of Choctaws to survive and keep their homelands, in the late 1890's in what is now Oklahoma. Those of you who know my writing know that I write with hope, of "working to the good," of the power of forgiveness. I brought something to show you today, from Congressional National Cemetery in Washington, D.C., where three days ago I attended a graveside ceremony honoring the most famous Choctaw leader of all time, Chief Pushmataha. He was also a general in the United States Army and fought alongside Gen. Jackson in the War of 1812. Before the ceremony I met a Choctaw elder at the gravesite, a sweet woman who speaks fluent Choctaw and is kind and patient to we learners. She arrived before anyone else. She stood holding her purse with tears in her eyes. When I asked her if she was hoke, she replied, "I am so glad I arrived before the chief. Look what I found lying against Pushmataha's tombstone." She retrieved an empty plastic whiskey bottle from her purse. "Somebody left this terrible insult to our chief." I hugged her and we both quietly cried. "I was meant to be here first," she said. "This would have ruined our graveside ceremony." We stared into each other's eyes and smiled. "Good wins again," I said. "It is a good day to be Choctaw." We decided to keep our secret, to allow the full blessing from Chief Batton to take place. But as we approached the shuttle bus, I asked for the bottle. Not to throw away, but to keep—as a reminder that we still have much work to do. We, the writers, the librarians, the educators, we are today's warriors. We must never forget that the battle continues, the battle for respect for Native peoples. What a heartfelt speech. I hope that perhaps the bottle was left by a transient who may have rested against the stone and was not meant for any disrespect. But, so glad it was removed before this special ceremony. A transient could have, as you suggested, left the bottle when they stopped there themselves, but I think Tim and the elder Choctaw woman are right. Native people contend with that particular stereotype a lot. I have to admit to being a bit annoyed at your suggestion, because so much of what Native people bring forth is questioned. People often try to explain away something, not realizing it comes off as a dismissal of the cumulative weight of ones experiences with racism. In many European cultures, such as my mostly Irish heritage, pouring a libation and leaving a bottle of whiskey are done in honor of the departed, not as an insult. I don't know what was intended in this case, but if it was supposed to be a tribute, it is a perfect example of culture blindness. I had the pleasure of sitting next to Tim on a post-ALA plane ride back to DFW a few years ago. I don't recall the specifics of our in-flight conversations -- some personal experiences about children and books and literacy and Texas. 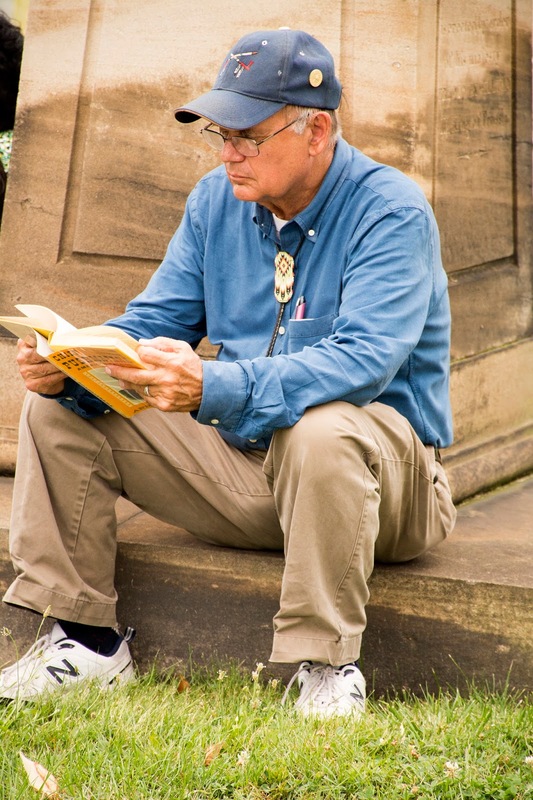 Although I'm not of Native American descent, the feeling of "I was meant to be here..." resonated with me as I felt honored and proud to have a personal conversation with a man of such monumental importance in children's literature. I'm so proud that he continues to be honored, and that he continues to pay homage to his personal connections with all people --in his writing,speaking, and work to see that good wins again.